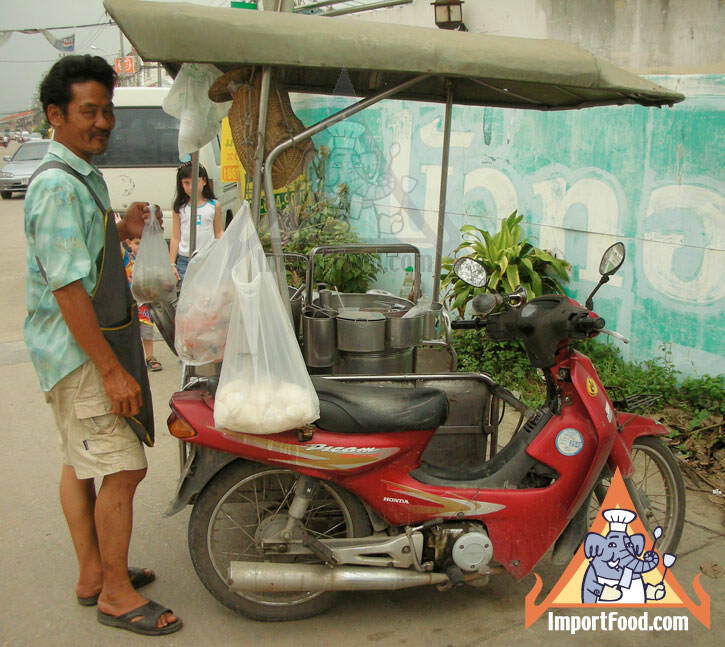 This vendor zips around on a Honda scooter conversion, with a sidecar added which contains everything necessary to cook up a delicious soup. 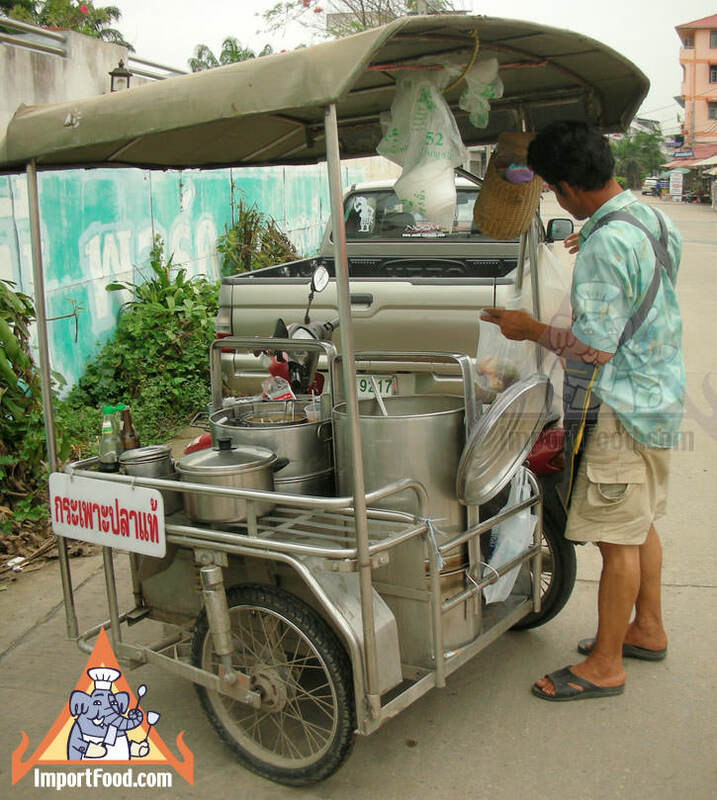 Many street vendors have motorized carts powered by what was once a motorcycle, then ingeniously modified with creative craftsmanship. This is a fine example. The vendor himself is very engaging and friendly, and he reminds you of the movie character Jeff Spicoli. The sign says "Gra Pawt Pla Tae" in Thai language, which means "old fashioned fish bladder soup", and this is a Chinese-style soup. 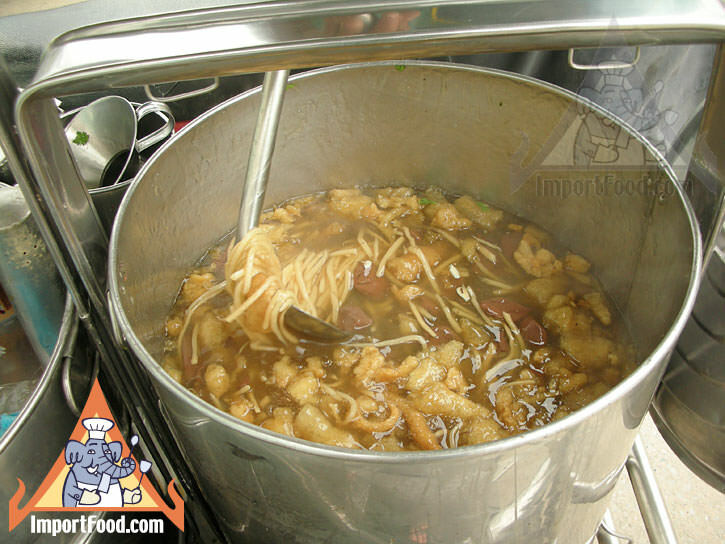 The soup is a fairly thick mix, and what looks like noodles in the soup are actually sliced bamboo strips ("normai" in Thai). The soup also has curdled chicken blood, small hard-boiled duck eggs, and fish bladder. 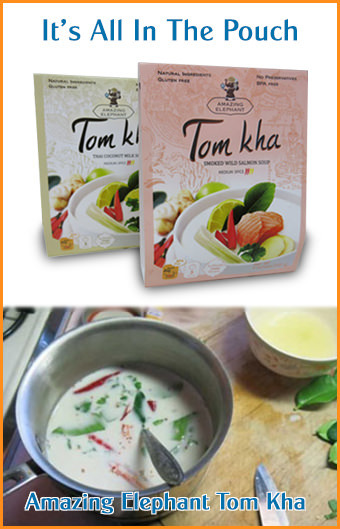 The large soup pot sits on another pot, as you can see in the photo second left. The lower pot contains hot charcoal which keeps it hot. 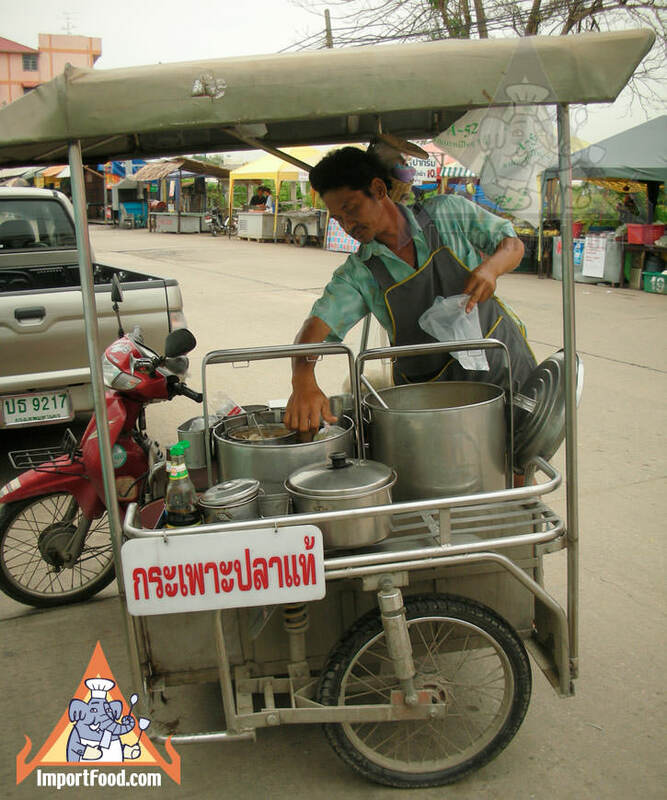 As with just about every dish served by street vendors in Thailand, the soup is served in a plastic bag, tied at the top with a rubber band. The covered pot in front, right side, is full of cooked sen-mee noodles which are added separately to the bag at the time of purchase. Steamed chicken is also added, you can see it in a bowl on ice in the pot next to the soup pot. 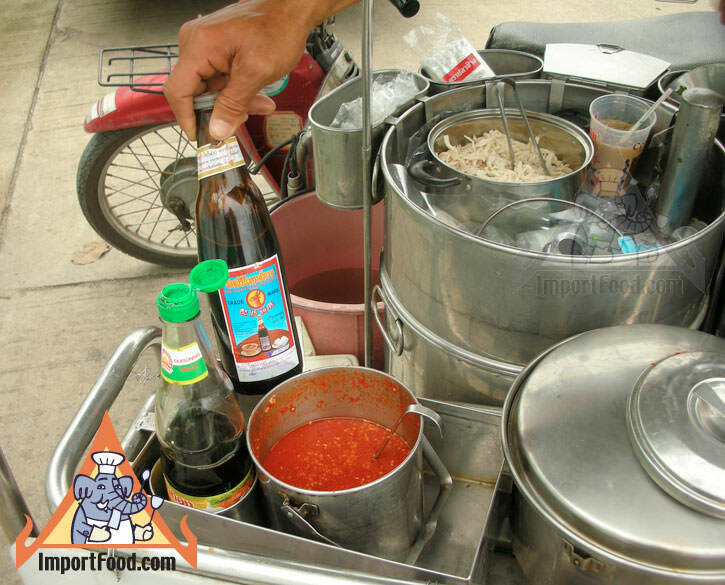 For condiments, he offers black vinegar sauce, Golden Mountain sauce, and hot sauce made from fresh Thai chile peppers.